A registration code is required to access this option. 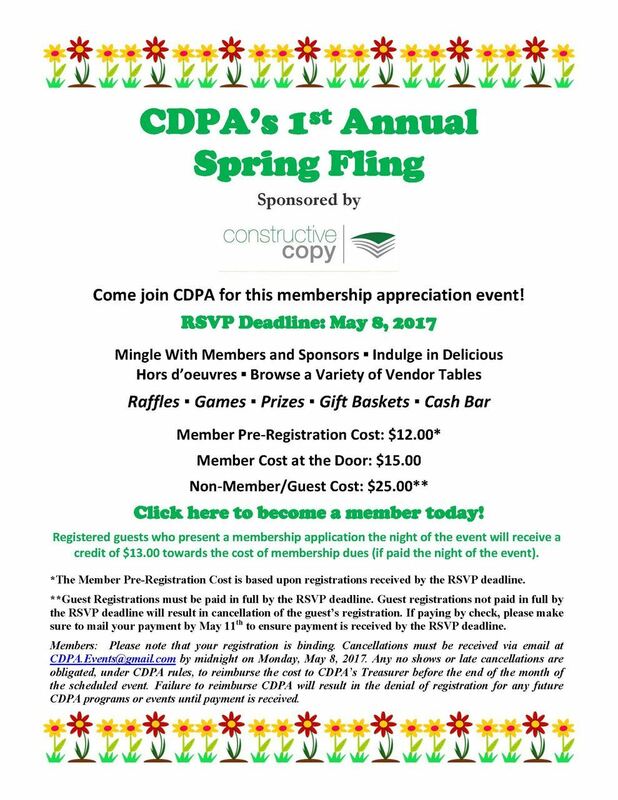 To obtain the code, please contact: CDPA.Events@gmail.com. Sponsors are entitled to table space and one representative, meal included. Additional representatives may register at the guest price of $25.00. Vendor registration includes table space and one representative, meal included. Additional representatives are $25.00 per person.